Doris Loves: Light Up Letters and much more.. Wedding Fairs to meet Doris Loves at! Photographer: Sarah London Photography. Interior Styling: Jasmine Orchard Styling. Videographer: Little Bird Wedding Videos. Hair Styling: Hati Cole Event Hair. Fashion Styling: Evangeline Harbury Stylist. Make-Up Artist:Hannah Dove Make Up. 3ft Balloons: The Little House Shop. With a special thanks to our Doris Loves team: Darren, Robbie and Ruth and to the very hard-working and generous extra hands of: Jessica Millberg, Jessica, Catherine and Simon. Photography by Jayne Sacco, Sacco & Sacco. Assistant George Evans. Tea and Trim – Hair and Beauty. Wild and Green – Floristry. The Cake Artist. The Paper Sculptor – Stationery. BPS Wedding Cars – Bentley. Not Just For Hire – centrepieces, chair covers, venue styling and props. Co-ordination - Chairs. Velvet Birdcage – dresses, shoes and hair accessories. Steve Furse - Necklaces. Models: Tiffany Grannell, Harry Robins, Victoria Emerson and Amy Curtis. Welcome indeed to Doris Loves! Here at Doris Loves we have a whole host of goodies to hire! A Temporary Tattoo Station and a boxed DIY version which is a complete bargain, as well as spectacular range of battery powered Light Up Letters and words!!! 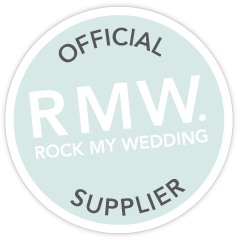 Hiring out our wares since 2012 we’re experienced with your wedding and events needs, so have a little look around and if you see anything you like then get in touch on the contacts page! We’d love to hear from you!!! We get A LOT of emails so it can take up a little while to receive a reply BUT don't worry we make sure we answer every single one! We can't wait to hear from you and help make your wedding or event extra special. PLEASE CHECK YOUR SPAM FOLDERS IF YOU DON'T RECEIVE A REPLY! Or email us your phone number if you haven't heard back within a week and we'll call you!!! Copyright © 2019. All Rights Reserved. Site by Moonsteam Design.